Dr. Jenkins specializes in corneal disease including keratoconus, dry eye, corneal scarring, corneal infection and corneal dystrophies, including Fuchs’ dystrophy. He performs corneal transplantation, DSEK, pterygium excision, blade-free LASIK and cataract surgeries. Dr. Jenkins grew up in Anderson, South Carolina, and is excited to be in the south after completing his training in New York and Pennsylvania. He brings the latest technology and techniques in treatment and management of cornea and external disease to our community. 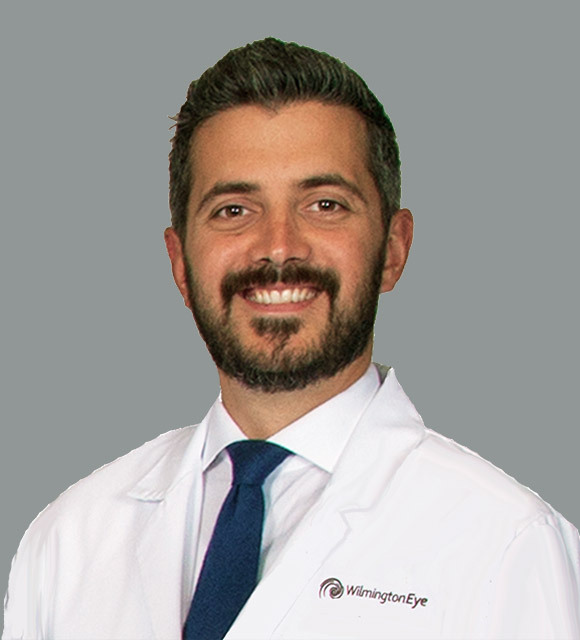 Dr. Jenkins is published in Young Ophthalmologist Info and is currently one of the editors for the Cornea chapter of the upcoming 7th edition of the Wills Eye Manual. He has served as a panel member on ophthalmic humanitarian aid in underserved locations, was featured in Daniel Byers’ short film, Mustang Gift of Sight: Operation Restore Vision, and performed manual small incision cataract surgery in remote villages in the mountains of Nepal. Dr. Jenkins and his wife Shirin are glad to call Wilmington home! Dr. Jenkins loves our beaches and enjoys surfing and fly‐fishing.